Sometimes, ideas can come from the strangest places. For nearly a year, I’ve been writing a novel of the Tudor court, covering the endlessly fascinating period when Henry VIII broke with Pope Clement in order to marry Anne Boleyn. So far I’ve read more than two dozen scholarly books on the topic. I’ve consulted the online Letters and Papers Foreign and Domestic of the Reign of Henry VIII, which is a key original source material on which scholars base their work. And I’ll be doing more research soon during a trip to England. I formed my opinion decades ago about the guilt or innocence of the major characters: Henry VIII, Anne Boleyn, Thomas Cromwell, Thomas More, Thomas Wolsey, Jane Seymour, Katherine of Aragon, and more. Back then, I read all the historical novels available about these people, and whatever biographies my public library had, including such classics as Garrett Mattingly’s Catherine of Aragon. And then I stopped, with my mind made up. Philippa Gregory’s The Other Boleyn Girl was an eye opener. Although she likes to play fast and loose with facts, in this novel she demonstrated mastery over possibilities, dangling them to tease the reader, but not committing to them. It was a tour de force and an international bestseller, and it paved the way for the recent surge of real historical novels being published. Not romances with historical characters, and not romances with completely made up characters, but actual historical novels. And that in turn has produced a warmer climate for scholarly books, well-researched, on these same people and moments in history. It is a rich time for diehard Tudor fans like me. But I confess that my novel, which is already over 50,000 words, has not been exciting me so far. So I’ve kept researching, looking for the angle that would make my story catch fire. 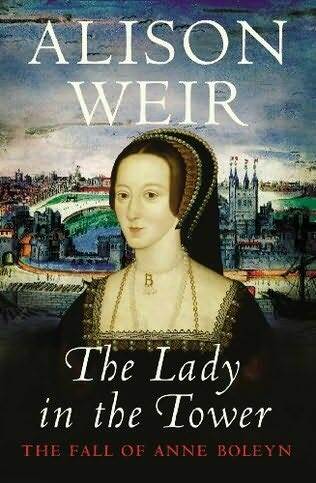 I just read Alison Weir’s excellent The Lady in the Tower, in which she carefully cites all the recent and classic research on the whole Anne Boleyn mess. And now I have finished Hilary Mantel’s fascinating novel about Thomas Cromwell, Wolf Hall, which won the Man Booker Prize. Did I learn new facts from them? Did I find my hook in their books? No. I found it in a polite but stubborn argument with an old acquaintance. On Facebook. We differ about the interpretation of history relating to who was guilty and who was innocent. We’re each dug in with our opinions. We’ve each cited opposing scholars to back up our positions. And that has caused me to rethink my novel and come up with an idea that I believe is, in a word, novel. It’s hard to imagine that the Tudor story could yield anything new. The main actors in the biggest scandal of the 16th century have been studied, vilified, restored, and studied some more. How can I have anything new to say? But I do, I do. I am being coy about my idea because it is so different it could sell my manuscript. I’ll let you know what happens. First, I’ve got to write the rest of my tale. Who would have thought that I’d find my idea while arguing? I hope you DO get this written; I am keen to see if you have good accuracy coupled with a readable, plausible, likeable story. May I direct your attention to Mavis Cheek’s “Amenable Women”, based on a new look at Anna of Cleves, Henry’s fourth Queen and the one who came off best. Gives the reader a whole new perspective.